As practice shows, the human eye is not so difficult to deceive, and what we see does not always correspond to reality. And people do not seem to mind, probably, that's why everyone likes optical illusions so much. And we will please you one more. 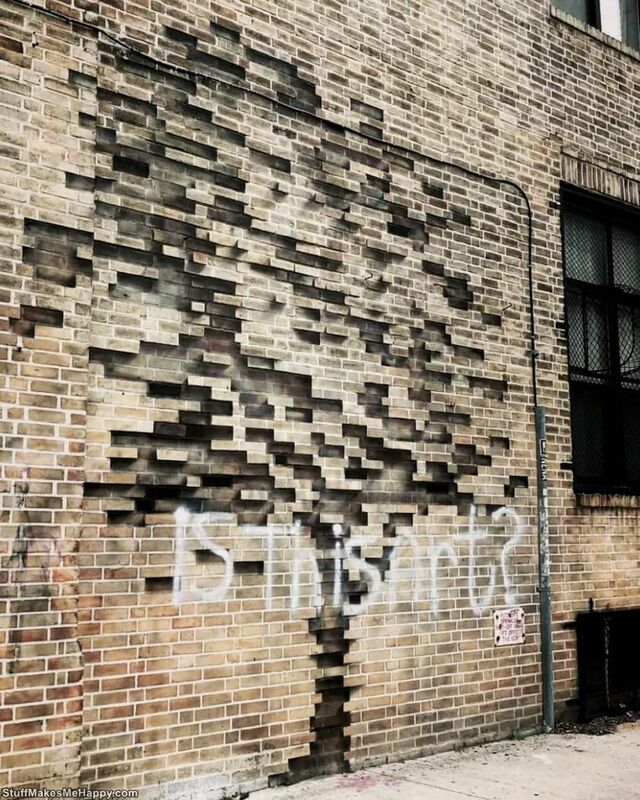 It was seen on a street in Brooklyn (New York, USA). 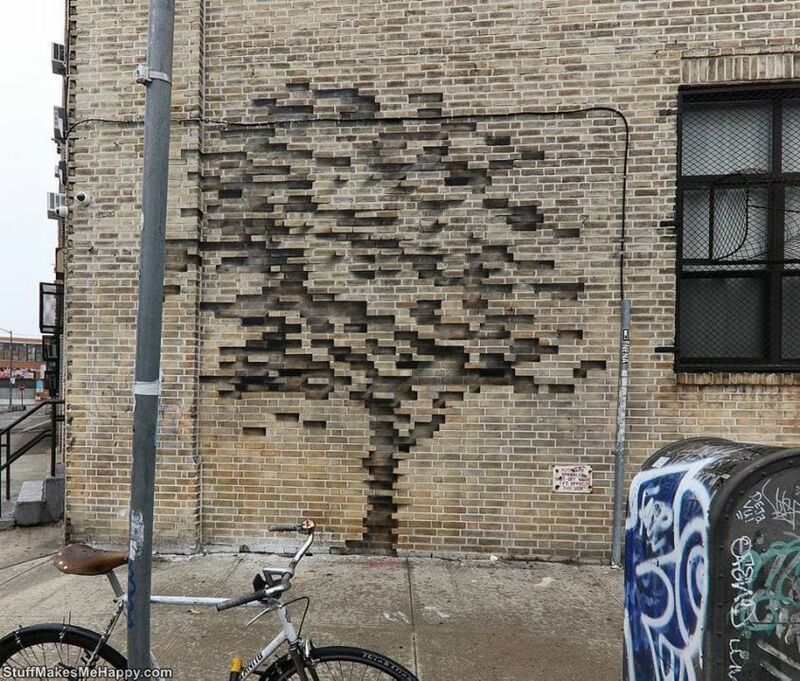 If you look at this wall, you will be surprised how interesting it was on the brick, as if the tree had turned out. Of course, everything is not so simple. 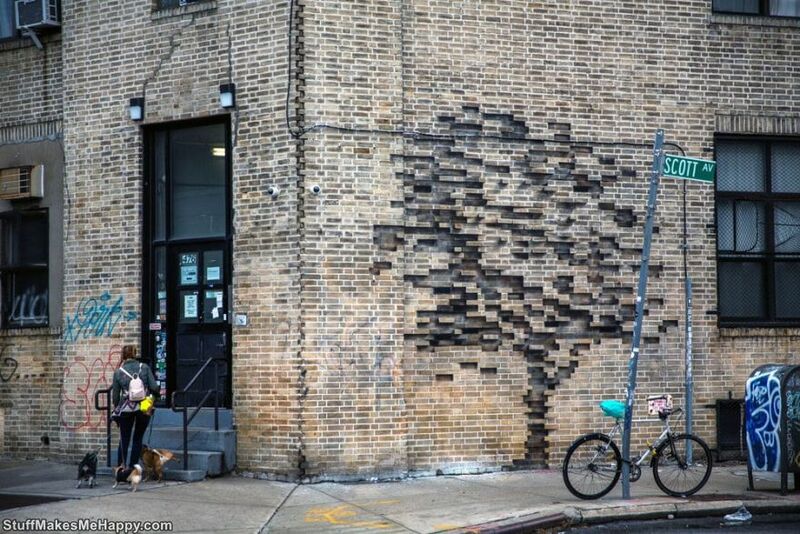 It seems that from this wall the bricks fell very artistically, forming a tree. But it's not so simple. 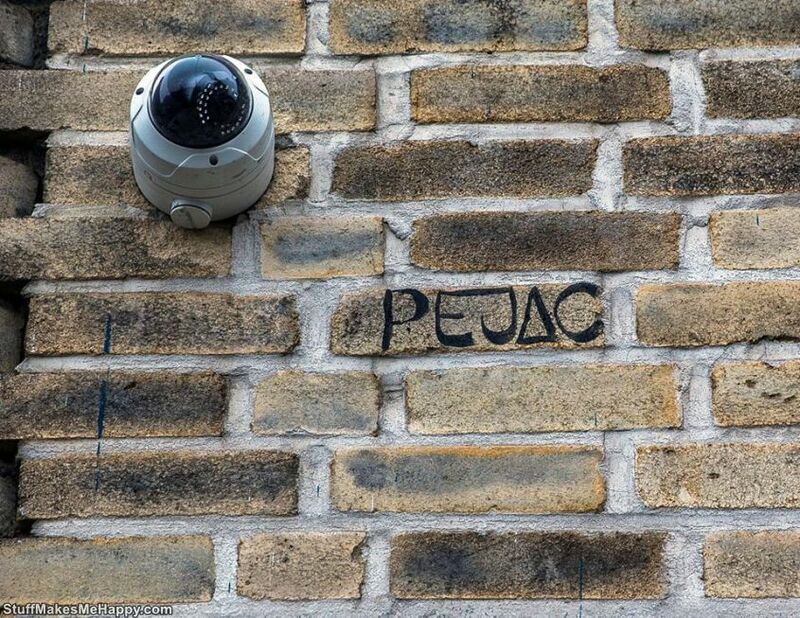 In fact, this is a new art project of the Spanish street artist under the pseudonym Pejac. 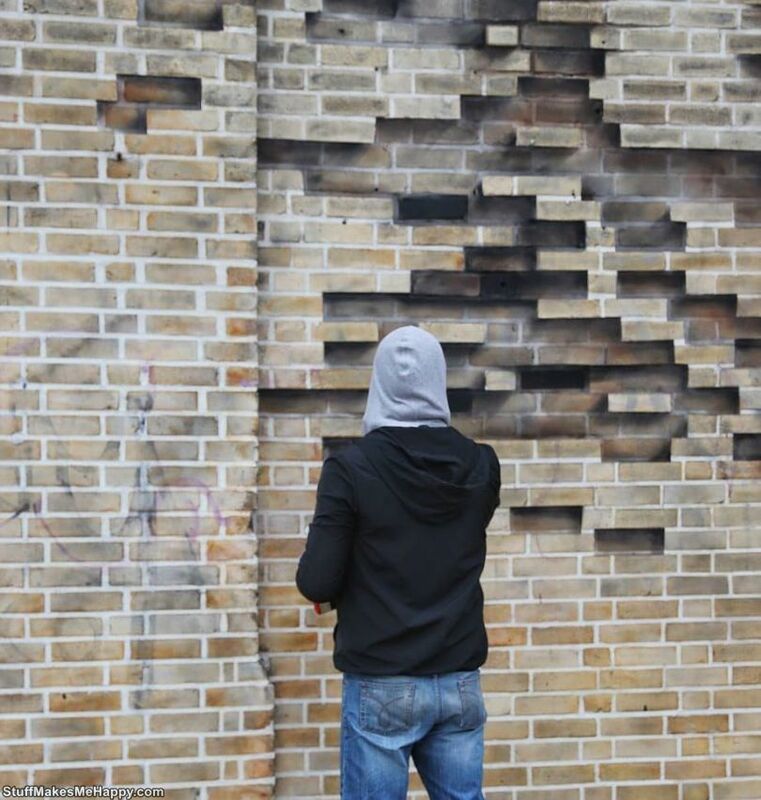 For its creation, Pejac used a stencil in the form of a brick. To understand what this drawing is, you have to look a few minutes. 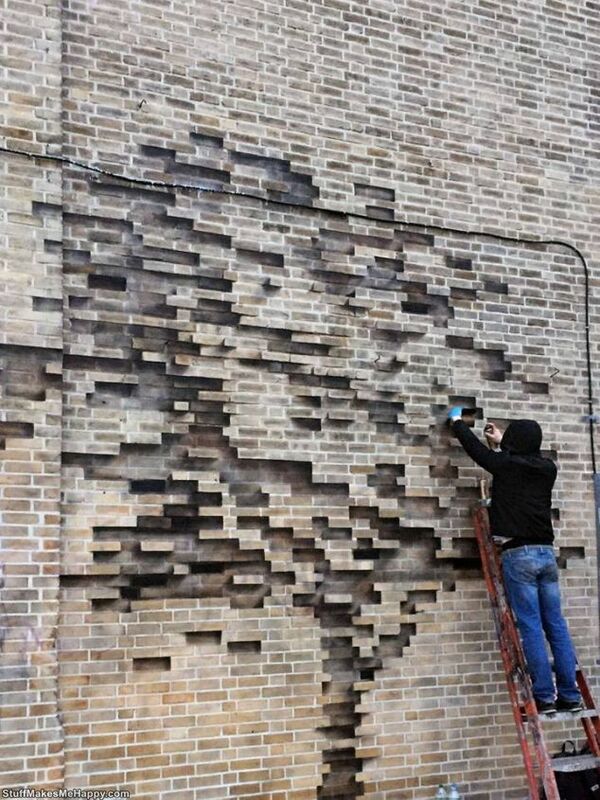 The work is called "Fossil". This is a look into the prospective future, where only the fossils in the brick wall can remain from the trees. 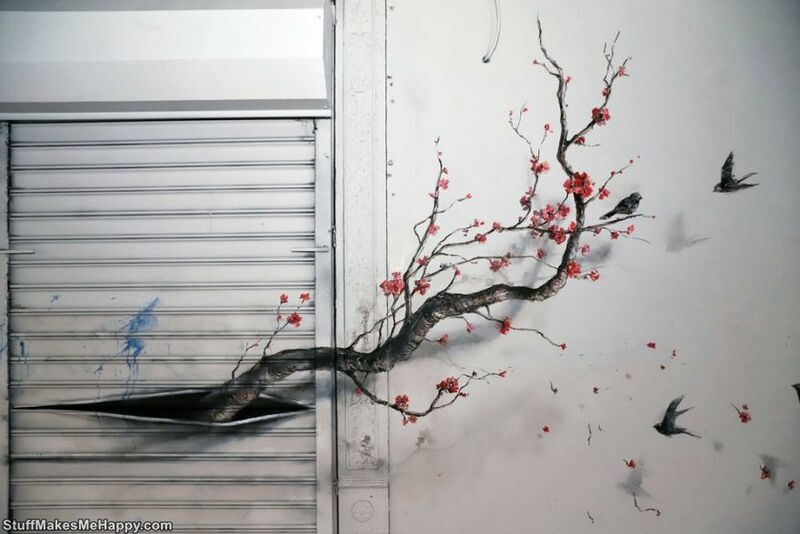 But even such works cannot avoid vandalism. 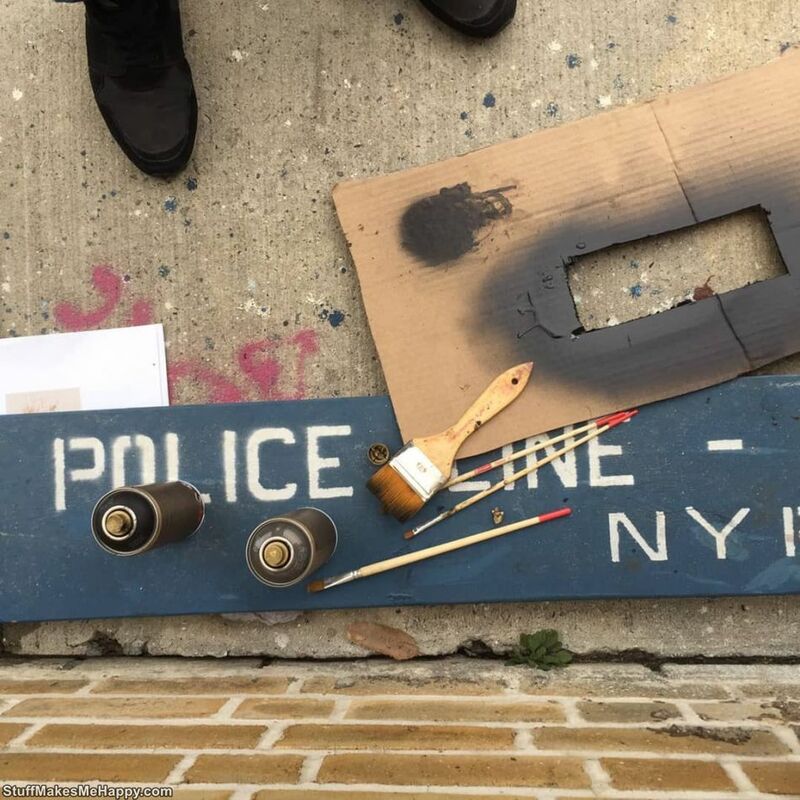 By the way, this is not the only work of the artist in New York. 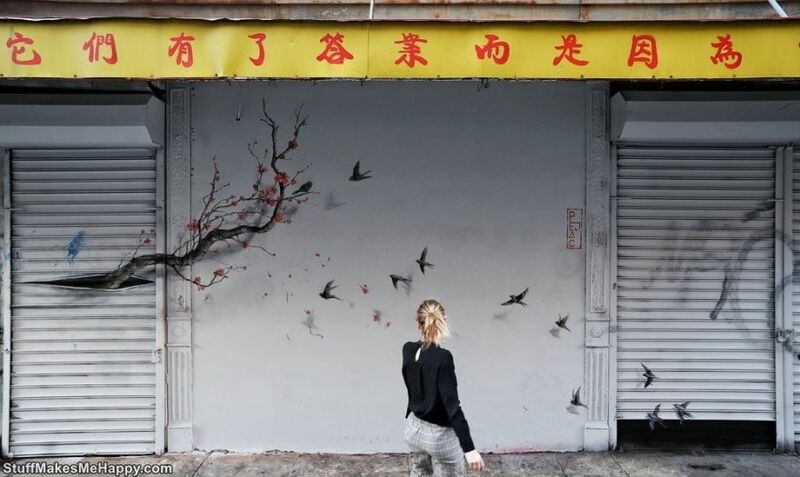 In Chinatown, "Inner Strength" broke through the wall.